Marvin Gaye's real last name was Gay (without the 'e'). However, he was bullied from a young age due to homophobia, and because his father was known to be a crossdresser. Due to this, and rumours of the singer's own sexuality, that Marvin added the 'e' to his last name when he became famous. Gaye performed at Motown president Berry Gordy's house, who was impressed by the singer. He soon signed with Motown subsidiary Tamla. At first, he pursued a career as a jazz performer, and had no desire to become an R&B or soul singer. 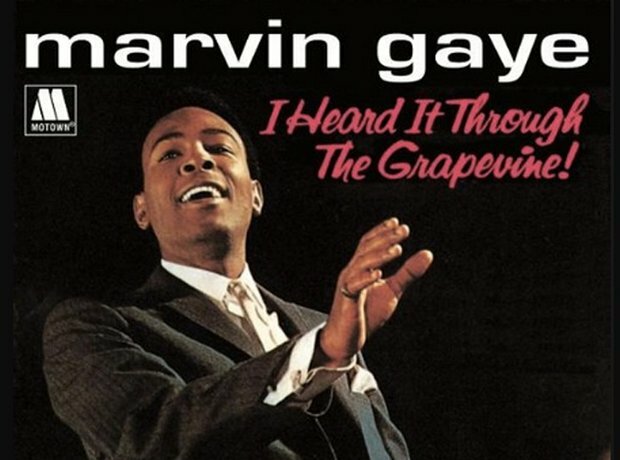 Among Marvin Gaye's most famous hits include 'I Heard It Through the Grapevine', 'Let's Get it On', 'Inner City Blues' and 'Mercy Mercy Me'. After several years away from the charts, he had a huge comeback in 1982 away from Motown with the album Midnight Love, and its lead single 'Sexual Healing'. Gaye married Anna Gordy in June 1963, before separating in 1973. The couple were officially divorced in 1977. He later married Janis Hunter in October 1977, but divorced in February 1981. Gaye was the father of three children: Marvin III (adopted with Anna, Marvin III was the son of Denise Gordy, Anna's niece), and Nona and Frankie, with his second wife, Janis. The day before his 45th birthday, an argument between Marvin and his father Marvin Sr escalated into violence. The reasons behind the fight are unknown. Some say it was due to a decades-long period of abuse that he endured from his father. On the night of April 1, 1984, Marvin was shot twice. Marvin Sr died without any recollection of shooting his son. After a 6-year suspended sentence and a 5-year probation, he lived the rest of his life in nursing homes, and died aged 84 in 1998. When he was 17, Marvin ran away from home to join the US Air Force. However, he had trouble following orders from his strict sergeant and was honorably discharged in 1956. During the 1960s, it was debated that Gaye dated his female singing companions, such as Mary Wells and Kim Weston. Wells denied any romantic ties, and Weston said their relationship was platonic. The same went for his relationship with Tammi Terrell. Her death from a brain tumor in 1970 sent Gaye into a depression. Gaye also dated Dutch model Eugenie Vis, and was involved with British socialite Lady Edith Foxwell during the early 1980s. During his hiatus from music, Gaye looked elsewhere, including professional football. At 31, he set out to become a wide receiver for the Detroit Lions. "You see, I had this fantasy: I was in the Super Bowl, with millions of people watching me on TV all over the world, as I made a spectacular leaping catch and sprinted for the winning touchdown," he said in his biography. Lions coach Joe Schmidt refused to let him try out for the team. One of his last public performances was singing the US national anthem at the 1983 NBA All-Star game. At the time, performers gave restrained and traditional performances of the anthem, but Gaye sang an emotional performance similar to his other songs. This caused controversy, but the idea of personalizing the anthem caught on, and the tradition continues to this day.